One of the best things about Thanksgiving is remembering loved ones. How I celebrate the holiday has changed as my family has grown, as we’ve moved about the country, and as we have lost ones we love. 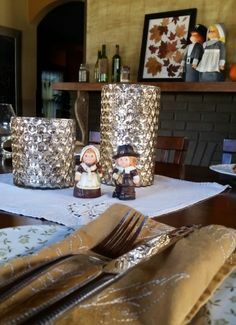 Some Thanksgivings are boisterous and rowdy with the kids spilling from the dining room into the kitchen to gobble turkey at their own special table. Others are smaller, more subdued, but perhaps a bit more boozy as adults chat over cocktails. Though each Thanksgiving is different, they are all memorable. 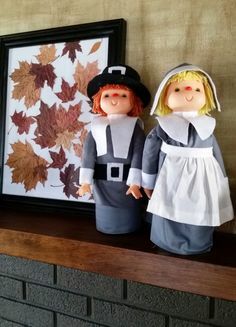 Here is one of my favorite crafts from grandmother, a Pilgrim man and woman made with liter bottles. Obviously, I didn’t make these lovely little folks. So, I cannot provide the detailed instructions I usually do. However, I can give you some insight and hopefully some inspiration. My grandmother was an amazing seamstress. She created everything from jackets to dresses to curtains. She often worked without a pattern and with a skill I can only admire. I did not inherit her talent for sewing. Therefore, I have no idea how the pilgrim clothes were made. Please share your pattern or process for making doll clothes. We need to crowdsource this. Once you have the clothes sewn, there is some assembly required. Yup. That’s my helpful advice here. Sorry, I can’t provide more detail. But, I still think these pilgrims are a great inspiration craft. I know you have the imagination to make it happen. If your family members grew up during the great depression, they can upcycle like nobody’s business. Nothing is wasted and resourceful is a way of life. Hence, the liter bottles and scrap fabric transformed into holiday decor. Thanksgiving decorations are more than just decor. Creating a place for people to gather and share takes love and caring. 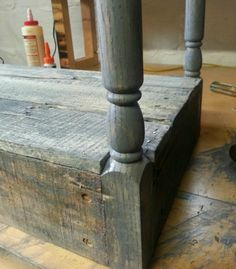 Whenever, I use the things handed down to me from my family I feel them looking down on me, and I feel a pride in carrying on the tradition of waste not want not. Everything comes back in style. These pilgrims were easily made 25 years ago. I love that they are a throwback and can fit in with modern home decor. Did you make a sewing pattern or have you used 2 liter bottles for other crafts? Show us what you got.